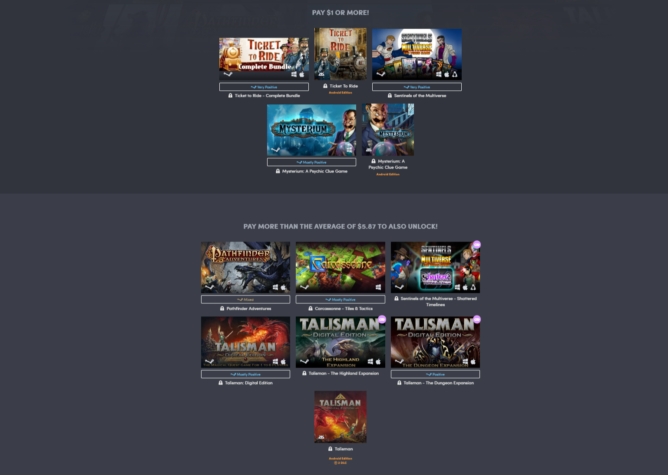 Okay, so Humble Bundle's new Digital Tabletop bundle isn't a mobile bundle, but it does happen to include Asmodee Digital's Android versions of Ticket to Ride, Mysterium: A Psychic Clue Game, and Talisman. The first two are both part of the base bundle, so you can snag them for as little as a dollar, but if you want to purchase Talisman, you will have to pay more than the average. The deal will run for twelve more days. As you can clearly see, if you choose to pay $1 or more, you can get the Android versions of Ticket to Ride and Mysterium: A Psychic Clue Game along with a few Windows, Mac, and Linux board game releases. If you'd also like to grab Talisman, you'll have to plunk down a few dollars more since it's included with the beat-the-average group of titles. Still, it's not like $5.87 is a bad price for all three when you consider it would cost you $11.97 to get them on the Google Play Store. Now, all three of these games include in-app purchases in their listings on the Play Store, but after some testing on my part, it's clear that Ticket to Ride is the only one to include IAPs out of these three Humble Bundle versions. So in order to complete a purchase in the game, you will be directed to a webpage. Personally, I find it very aggravating that a company that started out by listing only DRM-free games still doesn't bother to explain the prices of the IAPs for its Android listings, but I guess that is hardly surprising when you see the storefront adds a monthly subscription to your cart without ever asking. So make sure to watch out for that shadiness during your checkout process. 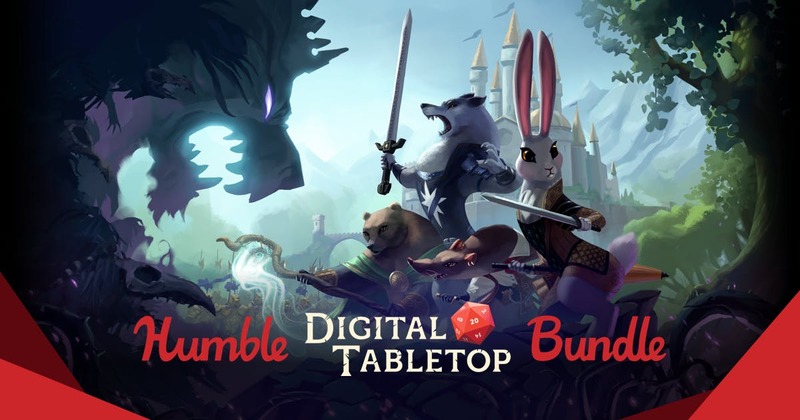 All in all this deal isn't half-bad, especially if you are a big board game enthusiast but haven't picked up any of these digital releases yet. Obviously I'm not a fan of guessing what type of IAPs I will find before I make a purchase, but I suppose things could be worse and DRM could be attached to these titles. Essentially, you can pick up Ticket to Ride and Mysterium: A Psychic Clue Game for the next twelve days for only $0.50 a piece, which you can't really beat, and if you have some extra money burning a hole in your pocket, you can also grab Talisman for a fair price.